There will be a Taize-type service of Holy Communion at Hasland Methodist Church on Pentecost evening, May 20th. Their usual time is 1800 hrs. There are to be two preparatory occasions, the first on Thursday 26th April at 7.30, when John-Charles Tanner will help us to prepare musically, and again on May 10th which is Ascension Day. 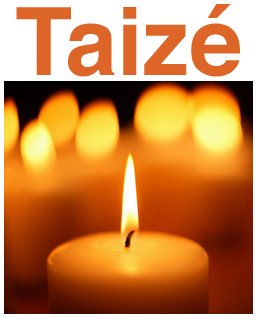 Some people with long memories may recall earlier tastings of Taize. It is very helpful that John-Charles has taken this initiative and I will be happy to preside at Communion, when all Christians will be welcome to take a full part.